As a food writer I get the opportunity to taste a lot of amazing dishes. But over the past few months, I haven’t really been “wowed” by food. I loved our wedding dinner from Grappolo and enjoyed the steak at Vitaly, but aside from that, everything else was just ok. Then I traveled to Maui and had my first bite of kalua pork and it was a game changer. I hadn’t eaten anything quite that good in quite some time. My taste buds were so excited in fact, that I immediately had to make slow cooker kalua pork upon returning home from the islands. One of the great things about that pork was it not only made for two fabulous meals, but it also rekindled my love for cooking and recipe development. I felt inspired after biting into that perfectly salted and tender meat, and suddenly I wanted to cook all of the things again. And I know it may sound weird to wax poetic about pork, but eating that kalua pork reminded me why I write about food all the time. 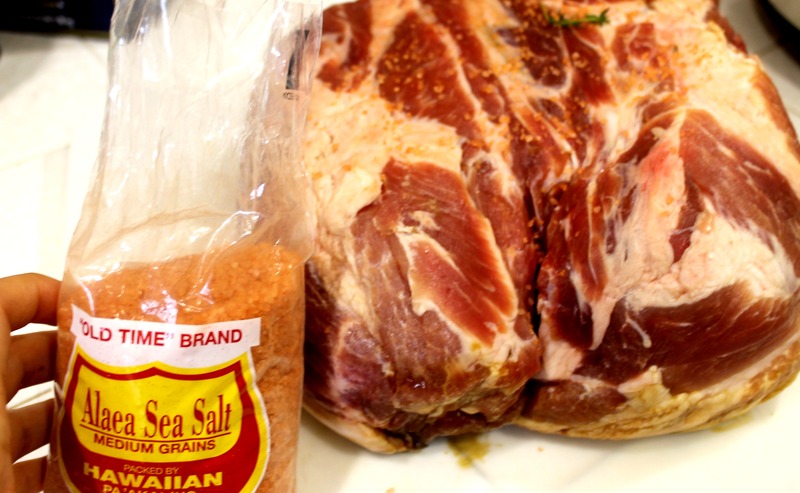 When I decided to make the slow cooker kalua pork I wanted to prepare it the same way the Hawaiians do – just seasoned with red Hawaiian sea salt. That’s it. No sauces, marinades, spices. Just Hawaiian sea salt. I wanted to respect the simplicity of the dish and really let the pork shine, rather than cover it in condiments. This is the world’s easiest recipe and yields a bunch of delicious, tasty pork. I made this for a World Cup party and sent all of our guests home with leftovers. 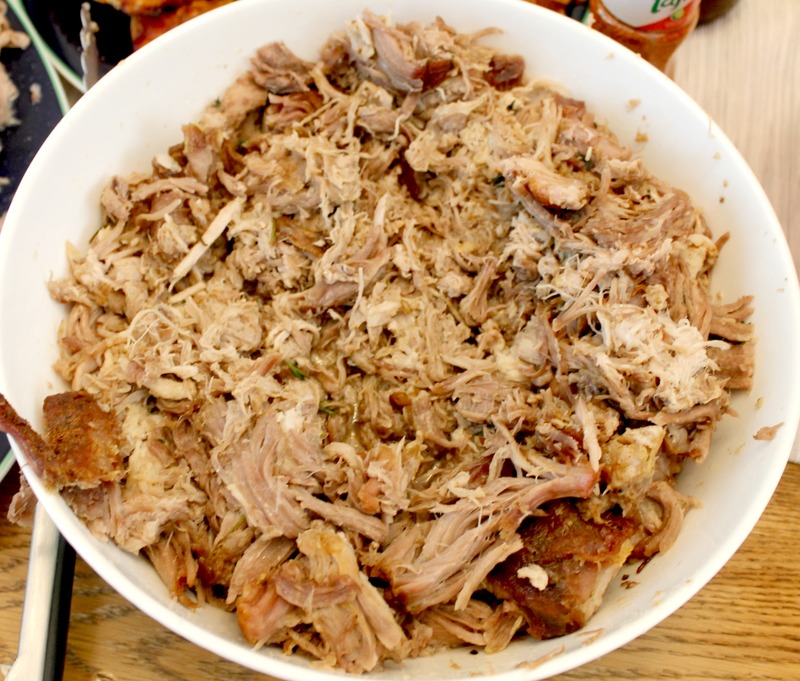 If you are looking for a last-minute 4th of July recipe, I highly recommend this Slow Cooker Kalua Pork! If you are planning to enjoy your pork the same day you prepare it, set your slow cooker setting to HIGH for 7 hrs. Place pork and sea salt in the slow cooker and let it cook until the meat is juicy and tender. This dish can also be prepared the night before, just switch your slow cooker setting to LOW and set for 12-13 hours. 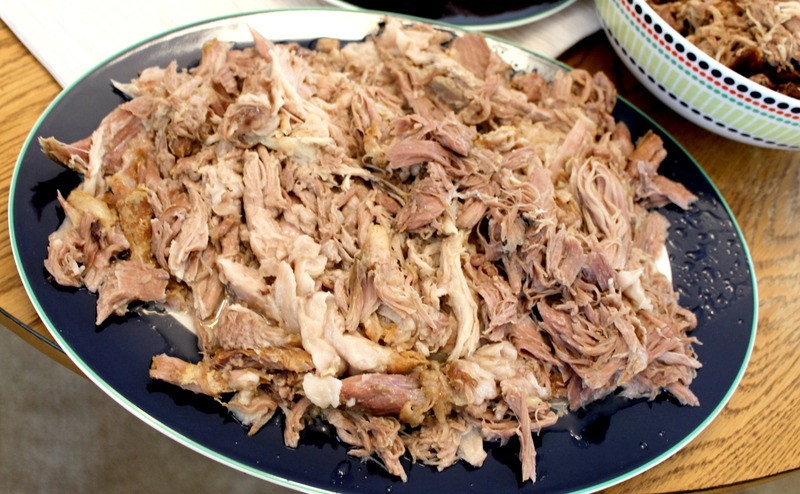 Remove your pork from the slow cooker and then shred your meat. The meat should fall apart easily from the bone and be nice and tender. We’ve used this pork in a variety of meals including a savory pie and a stir fry dish – both yielding wonderful results. Since there are no additional spices or sauces added to the meat it can be used in a wide variety of dishes which is awesome. It also freezes very well. Thank you Hawaii for reigniting my passion in the kitchen! I can’t wait to develop more delicious dishes. This entry was posted in Best Of, Cooking, Gluten-Free, Good Eats, Life and tagged easy meals, honeymoon, Maui, pork on July 3, 2014 by allie@sweetpotatobites. 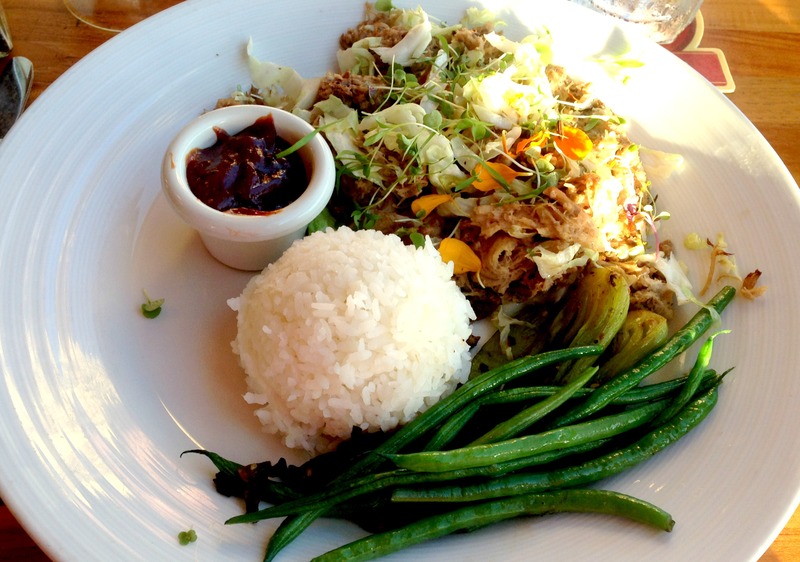 I just had Kalua pork for the first time a few weekends ago, it was AMAZING. This was pretty delicious. I think it would be an awesome addition to things like nachos or burritos. Even though, let’s be honest, it was great on its own. Next time I want to add it in a burrito for sure. But I also just ate it straight from the bowl since it was that good. Yay for pork! 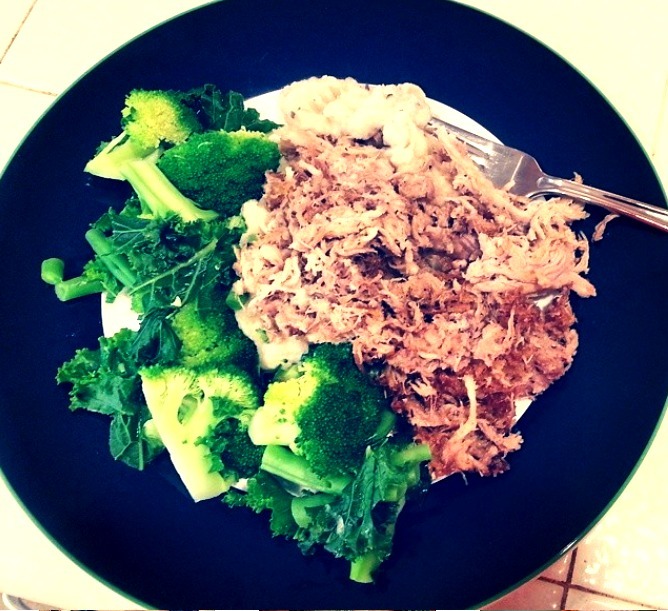 I LOVE slow cooked pork, and I love this recipe. I usually add all sorts of spices and sauces to my pork, but this is so simple – which I think would be amazing! It was great! It really helped the flavor of the pork shine. I’m already planning on making it again soon!